I made this origami heart Valentine card for my wonderful husband Tobias. He's not really into lots of frills and lace, but likes simple designs and bold colours. I know he loves Japanese art and origami, so I thought I would make some origami hearts and use them as the inspiration for my card. 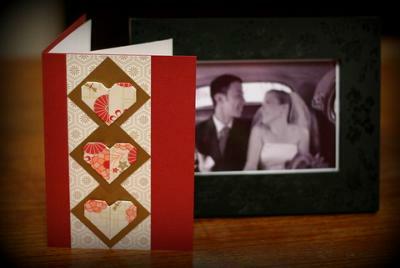 It's pretty easy to make your own Valentine card like this (don't be scared off by the origami!). You don't need any embellishments, stamps or die cuts, so it is great for people who are just starting out and don't have a lot of equipment. Obviously you can use this same basic idea to make your own Valentine card in what ever colours and style of paper that you have in your stash. 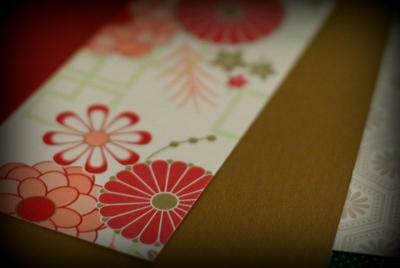 The card is made from a plum red cardstock cut to 25.3cm x 17.7cm - I just used the dimensions of a recent Christmas card I had received that seemed like the right size for this project! 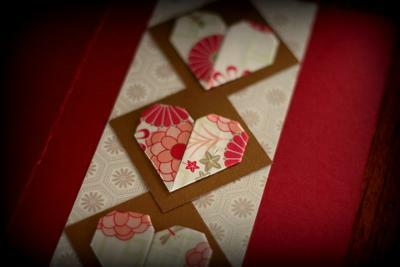 I used some beautiful Japanese-style paper that I had in my stash to make the three origami hearts. (Since last Valentine's day we've been blessed with our little boy James, so now there are three hearts in our home). You don't need much paper for these (4.5cm x 9cm for each heart), so it is perfect for using up scraps. To fold the origami hearts I followed the video instructions my husband posted on our website (cheating, I know!) for how to make a money origami heart, but instead of using money just use pretty paper with the dimensions stated above. 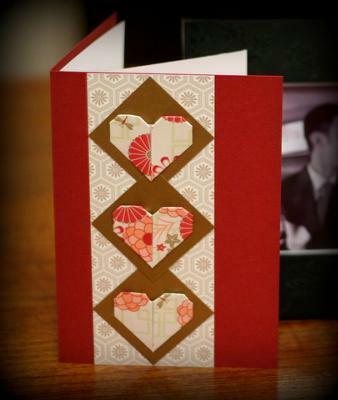 To frame the origami hearts I cut out three squares of complementary gold paper (5cm x 5cm). On the card I stuck these diagonally to be diamond-shaped. Behind the squares I also used a strip of paper 7cm by 17.7cm. The paper is ivory with a faint hexagonal flower pattern in pale gold. I assembled my card using double-sided tape. 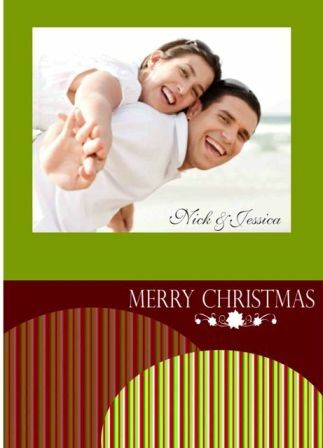 For the inside, I stuck in some parchment paper cut to be slightly smaller than the dimensions of the card.